HYDERABAD: Love cooking, but don’t know where to hone your culinary skills? Woman entrepreneur Shilpa Datla says her Feu Culinary Studio bridges the gap between the home groomed and the professional chef across all age groups. 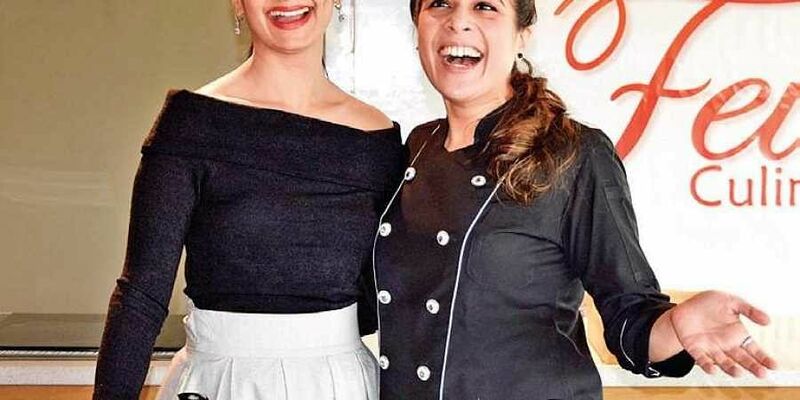 “The studio will also double up as a private chef session and party zone,” she said at the launch of her studio at Jubilee Hills over the weekend. Unveiling the features of the Culinary Studio, Shilpa said, the purpose of creating this facility is to provide an enjoyable environment for nurturing culinary aspirations for food enthusiasts and for culinary professional, hoping to further or enhance their skills. All live classes conducted are taught by pProfessional chefs. The open concept studio is equipped with state of the art equipment, stoves and ovens.The classes by Feu Culinary Studio will be designed to offer insight on how to enhance culinary and baking skills. To mark the launch of the studio’s First Master class gathering, Shilpa invited popular Indian Baking Chef RuheeBhimani to demo a live baking session on Friday. The class by Ruhee highlighted the art of French macaron and Petit Entreme. Shilpa says that the studio will be a destination for good baking,with recipes that suit varied dietary requirements while doubling up as a party place for celebrations. The studio will offer short classes for all age groups across a wide spectrum of patisserie baking and other cuisines. “We centre our classes on a certain cuisine, to learn classic techniques and the hottest trends. It integrates hands-on master chefs and a state-of-the-art studio for an immersive experience,” she adds. Classes in the studio will include tips on better cooking. For party enthusiasts, there is a curated cuisine at the studio from everyday family indulgence to corporate events. Citing new trends such as molecular gastronomy, gluten-free and vegan bakes which will be easy to digest and will provide healthier options for those who like to stay fit are some of the things that will be taught in the culinary studio. The teaching classes, boot camps suitable for all experience levels. The duration of the classes will be about four hours.